We use artificial intelligence in nearly every aspect of our lives — but how does AI fare in the physician’s exam room? It seems like artificial intelligence (AI) has crept into nearly every aspect of our lives. We use Nest to regulate air conditioning, Alexa to create to-do lists, and Waze to predict traffic patterns for the commute home. Considering how deep the reliance is on AI to simplify our day-to-day activities, it’s safe to say it was only a matter of time before AI began to trickle into the healthcare system. As these “robots” begin to make their way into the physician’s office, there’s an overwhelming question of how these machine-learning technologies will reinvent the diagnostic process — and whether they’ll eventually replace the role of physicians. Machines won’t be conducting annual physicals, at least anytime soon. However, patients can expect physicians to begin integrating AI into some of their processes within the next few years. According to study results published in the Annals of Oncology1 that evaluated machine learning technologies in dermatology, deep learning convolutional neural networks (CNN) spotted potentially cancerous skin lesions better than the 58 dermatologists who participated in the study. These findings have significant implications for the future of health care; in the past decade, the number of melanoma cases diagnosed each year has increased by nearly 53%, according to the Skin Cancer Foundation.2 The need for quick, efficient diagnostic tools has never been greater, and CNN could very well help dermatologists detect and treat potentially cancerous skin lesions earlier, saving thousands of lives every year. Before dermatologists begin using AI in their practices, there are a few major kinks to work out, particularly with regard to racial bias. Machines depend on algorithms, a set of rules that must be followed in problem-solving operations. When it comes to skin lesions, for example, an algorithm must be fed thousands and thousands of images of various skin lesions and moles — both benign and malignant — so it can build an extensive understanding of what cancerous and benign skin lesions look like. The problem with current diagnostic technologies being developed for dermatology, however, is that the data being fed in to the machine learning algorithms are predominantly images of fair-skinned populations. As a result, the machines are far more accurate at identifying skin lesions in patients with fair skin compared with patients with darker skin tones. While people of color have a lower risk for developing skin cancer, their mortality rate is much higher at the time of diagnosis due to the diagnosis being made at a more advanced disease stage. According to a paper published in JAMA Dermatology,3 failing to include a widely diverse set of imagery could not only miss detecting cancerous skin lesions in people of color, but it could misdiagnose them as well. In order to develop technologies that recognize melanoma in all skin types, image repositories around the world need to begin submitting more photos of skin conditions in people of color, suggested Adewole S. Adamson, MD, MPP, of the department of dermatology at the University of North Carolina at Chapel Hill and the Dell Medical School at the University of Texas, Austin. “The algorithm gets better and better when you give it more images of when [a lesion] is benign and malign,” said Dr Adamson. “If you gave [the algorithm] enough images — enough different variations of color, size, shape, and so on — then you can take a test data set and test to see how good it is with new information,” he added. Then, researchers could determine whether the machine learning technologies can, in fact, improve patient outcomes. Dr Adamson hopes that dermatologists will recognize this gap and begin submitting images of lesions on all skin types to the International Society for Digital Imaging of the Skin (ISDIS), an open-source repository of skin images used to develop machine-learning algorithms. “[AI] has a lot of promise if it’s developed correctly and carefully to assist dermatologists in the daily work that they do diagnosing individuals,” Dr Adamson said. There has already been significant progress with AI use in dermatopathology focused on the examination of skin biopsies at a microscopic and molecular level. Traditionally, pathology diagnoses entailed a single dermatopathologist analyzing skin samples under a microscope. Now, dermatopathogists can utilize AI to examine, then double- or even triple-check the primary diagnosis. As a result, dermatopathologists can provide patients with more accurate and reliable results. It appears that the best diagnostic systems require close collaboration between humans and machine-learning technologies. 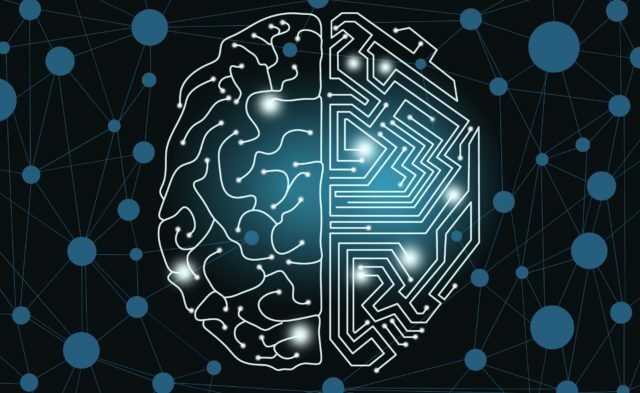 “There are ways to maximize the cooperation between human and machine to improve diagnostic accuracy and efficiency,” said David West, the CEO of Proscia, Inc. in Philadelphia, Pennsylvania, a company that develops AI-powered digital pathology solutions. We are still in the early days of using AI in medicine, especially when it comes to the clinical diagnosis and treatment of skin conditions. However, when these machine learning technologies are ready for action — and that day will come — patients can expect the role of the dermatologist to change. “[Physicians] are going to look less like pattern recognition machines, which they often are today, and more like informaticians that are synthesizing information that will be boiled down by computer systems,” Mr West predicted. Until that day comes, it’s safe to say patients will be relying on good old human beings to conduct their annual skin exams. Haenssle HA, Fink C, Schneiderbauer R, et al. Man against machine: diagnostic performance of a deep learning convolutional neural network for dermoscopoic melanoma recognition in comparison to 58 dermatologists. Ann Oncol. 2018;29(8):1836-1842. Skin Cancer Facts and Statistics. Skin Cancer Foundation. www.skincancer.org/skin-cancer-information/skin-cancer-facts#melanoma. Updated May 3, 2019. Accessed January 22, 2019. Adamson AS, Smith A. Machine learning and health care disparities in dermatology. JAMA Dermatol. 2018;154(11):1247-1248.